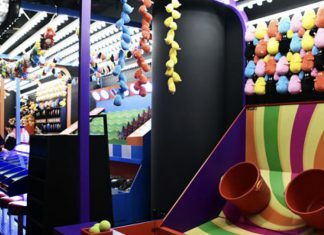 The Paradise City IR in Incheon, the joint venture between Sega Sammy Holdings and South Korean resort operator Paradise Group, has announced that the indoor amusement park “Wonderbox” is set to open to the public this coming Sunday. Mohegan Gaming & Entertainment and the Paramount Pictures Corporation have announced an agreement to build a 404,000 square meter Paramount Pictures-branded theme park at the Inspire IR in Incheon, South Korea. Paradise Group casino sales fell almost 5 percent in November as a gain in electronic gaming machine revenue failed to offset a drop in tables. Paradise Entertainment posted a 39.2 percent jump in October casino sales from the same month last year, lead by table games. 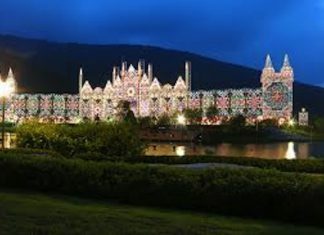 South Korean opposition parties on Monday submitted a proposal to launch a joint parliamentary probe into alleged illicit hiring practices of public agencies, including state-owned Kangwon Land, local media reports. Paradise SegaSammy said it will open new facilities at Paradise City, with a greater emphasis on entertainment, on September 21, completing the first phase of the development. Lotte Tour Development Co. is raising 240 billion won (about US$214 million) to complete the construction of its integrated resort on Jeju island in South Korea. Once completed, Jeju Dream Tower is set to be the tallest and largest landmark on Jeju island. 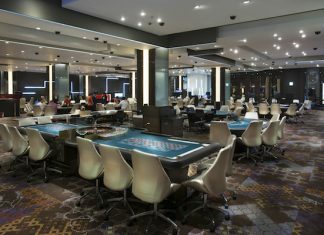 South Korea’s Jeju island, a popular tourism destination for Japanese, continues to attract investment into its casino sector, with travel agency Lotte Tour Development buying the Jeju Lotte casino for 15 billion won (US$13.4 billion). Sega Sammy Holdings and Paradise Co. are seeing a gradual ramp up in their Paradise City IR on Yeongjong Island, with increased visitation from Japan making up for the shortfall in Chinese arrivals due to last year’s travel ban. Turnover at South Korea’s casinos fell 5.9 percent in 2017, after a ban on tour groups by China in March hit visitation.